Egypt and Art > Tour Map of Egypt > Tour Dendera Directory > The East Gate. The debris that you see surrounding this gate is part of the original mud brick enclosure wall. This mud brick wall represents the ocean of chaos from which the ancient Egyptians believed the mound of creation rose. 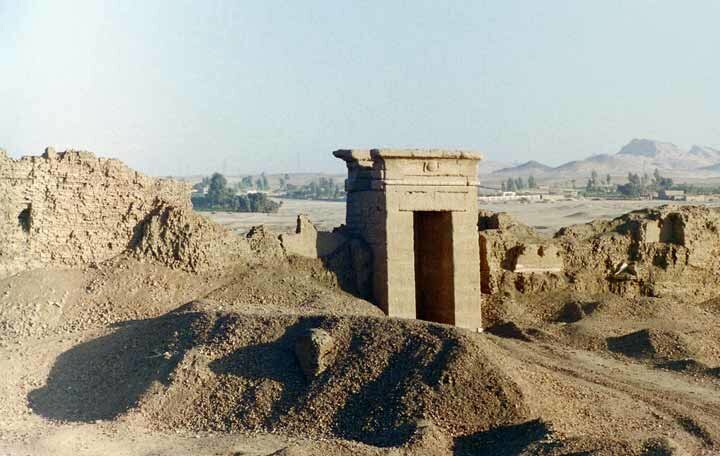 The mound is represented by the temple that stands within the mud brick walls.